Nachos, beer, pizza, soft drinks—that big game spread may be killing your masculinity. Arthur De Vany reports on how carb-laden snacks are sacking Americans' testosterone levels. Nachos, beer, pizza, soft drinks—that big game spread may be killing your masculinity. Arthur De Vany reports on how carb-laden snacks are sacking Americans' testosterone levels. Plus, The Daily Beast ranks the 44 most extreme Super Bowl snacks. As you stock up on pizza, nachos, chips, soda, and beer for your Super Bowl feast, here’s something you might want to consider: Those foods are feminizing men. Not exactly the way you meant to celebrate our annual tribute to red-blooded American masculinity, is it? But undeniably true. Many of the unhealthy things we eat today have been found to cause a drop in testosterone, the essential male hormone. And that decrease has been linked not just to low sperm count but also to increased risk of obesity , Type-2 diabetes, heart disease, stroke and death. Endocrinologists have been charting the population-wide decline in testosterone for some time now. Since 1987, according to a study published in the Journal of Clinical Endocrinology and Metabolism, levels of the hormone in men have been falling by about 1 percent a year. Scientists are concerned, partly because they don’t know why this is happening. During that same period, our poor eating habits and rising obesity have been in the news nonstop. It amazes me that we’re not making the connection between what men eat and their declining levels of testosterone. Lab studies have shown that when you ingest sugar, the level of testosterone in the bloodstream instantly drops. The authors of one study found that a drink of glucose solution decreased blood levels of testosterone by as much as 25 percent. If you routinely eat sweets, or carbs such as bread, pasta, baked goods—which your body turns into a form of sugar—you are continuously hammering your ability to produce testosterone. Alcohol also plays a role. Studies show that many men in their twenties get as much as one-quarter of their daily caloric intake from alcoholic beverages. The ethanol causes the same spike in blood glucose and insulin resistance as any empty calories. A typical male living on beer and pizza probably doesn’t resemble the lean actors and models in the commercials, who likely never touch the stuff. If you routinely eat sweets, or carbs such as bread, pasta, baked goods—which your body turns into a form of sugar—you are continuously hammering your ability to produce testosterone. • 20 Most Effective Super Bowl Ads• Pittsburgh vs. Green Bay: Which City’s Better?• Football’s Sexiest TeammatesThe fact that we spend so much of our time watching television and in other sedentary activities (an oxymoron if ever there was one) worsens the problem. Declines in muscle mass and strength and increases in body fat are associated with low testosterone. Fat actually converts testosterone into estrogen, the female hormone. The process, which takes place in the liver, is called aromatizing. (It has nothing to do with aroma; the word refers to the enzyme aromatase.) In itself, this isn’t a problem. Men need estrogen, just as women need testosterone. But when the level gets too high, we run into trouble. It’s not just being fat that causes some men to develop womanly breasts—it’s the overload of female hormones due to bad diet. There are obese men walking around with less testosterone and more estrogen than their wives. This is all compounded by fact that it’s not just one football game a year that promotes eating and drinking bad stuff. Televised sports of every kind are largely underwritten by commercials for beer, pizza, fast food, donuts, soft drinks and so on. Even “sports drinks” are loaded with sugar. It’s no coincidence that those ads are, for the most part, aimed at young men. Of course, if all young men ate a steady diet of the foods these games advertise, we’d soon run out of superbly conditioned, physically aggressive athletes. What would we watch on TV then? Arthur De Vany, Ph.D., is the author of The New Evolution Diet. He is widely regarded as the “grandfather” of the Paleo movement. 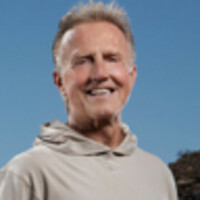 He has appeared on PBS and NPR, and in The New York Times and other national media as an expert on the Paleo lifestyle. He also maintains a blog www.arthurdevany.com.